The 2013 edition of the World Almanac is out; my brand new copy arrived in the mail last week. As I thumbed through the thousand fact filled pages, I realized nothing like this is duplicated on the internet. Even in these days when most of our knowledge can come through our computer screen, there is no comparison to the feel of a book that you can easily leaf through. To research on the computer everything that is found in the World Almanac, would take years. America has been able to trust the information contained in the World Almanac since 1868, when it was owned by Pulitzer. The first edition was 100 pages and focused mainly on New York issues. Since then it has branched out to national and international, with coverage of every nation on earth. I have had a relationship with the World Almanac since I was a child, I always took for granted all of the knowledge compiled in it as reliable and the last word on any subject I could think of. I never thought about talking to the principal behind the production of such a monumental work, until I was contacted by their publicist and asked if I would like to talk to their senior editor. I was able to spend time with the senior editor of the World Almanac, Sarah Janssen and ask her a few questions about this impressive work of knowledge. Of course anyone associated with the compilation of this much information,; I have deep respect for and would never challenge them in a game of trivial pursuit…ever. Sarah and I both shared the common bond of reading the Almanac since we were children; she just took it to another level. There is so much in this book, how do you gather this information? Most sources are very receptive to giving the World Almanac information. We have been around so long and we have standing relationships built up over decades. Sarah also reminded me that the World Almanac has a presence on Twitter and Facebook as well. Something the Pulitzer family could have never envisioned when they printed the first Almanac 144 years ago. 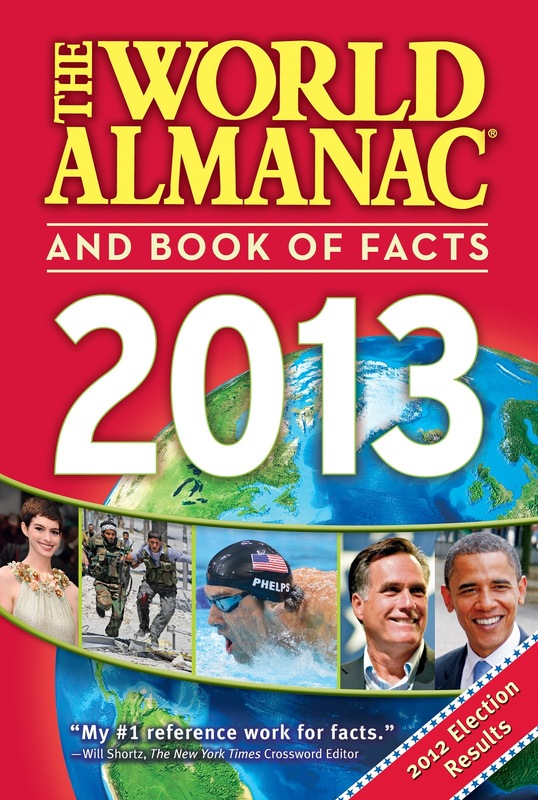 The World Almanac is a must have for every household.